Christmas tights for girls add a festive touch to formal and informal holiday outfits. Girls Christmas tights are seasonal clothing items that are typically sold in department and retail stores from late October until mid-January. 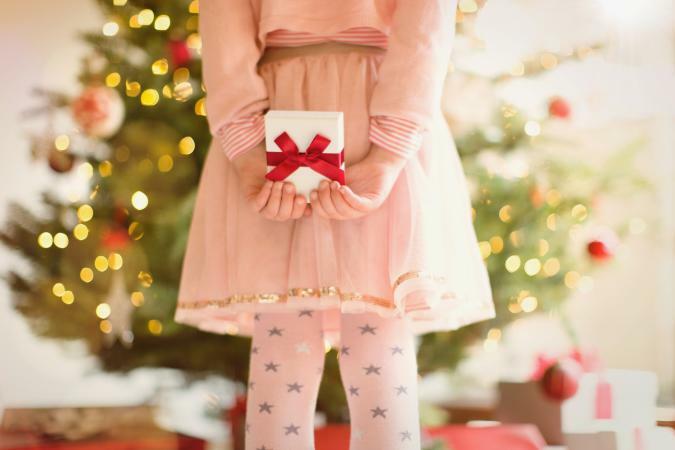 If you cannot find a cute pair of girls Christmas tights at your favorite children's clothing shop, consider browsing online.The following popular websites offer darling Christmas tights for girls. Add warmth and style to your little girl's holiday outfit this year with these ultra-cute Dot Stripe Jingle tights. They feature a solid red top and Santa belt, one striped leg and one polka doted leg, and cuffs on the ankles with jingle bells. These cotton spandex tights feature elasticized waists. InFashionKids.com also features charming striped tights for girls in holiday colors. The brightly colored striped girls nylon tights in red/green, red/white, green/white and red/black are the perfect match for an understated Christmas dress. This retailer found on Amazon offers tights that are sure to add sparkle to any Christmas dress. The company's Snowflake Tights feature white snowflakes on black tights. Their Holiday Christmas Stripe Tights feature a red, green and white pattern. Amazon offers a selection of cute Christmas tights which will look adorable on any little girl. Choose from styles like the Dot Stripe Jingle Tights or Christmas Winter Tights in variations of red and white. You'll even find Santa Novelty Tights. Bonanza.com offers a wide array of holiday tights for girls, including a delightful white pair that features chubby holiday teddy bears. Size: Girls tights should be snug fitting, but they shouldn't be uncomfortable to wear. Most girls' tights run small, so when in doubt consider purchasing one size larger than what your little one usually wears. Also, be sure to check the sizing information on the back of the package before settling on a pair of holiday tights. Comfort: Some young girls dread wearing tights because they don't like being restricted by the elasticized waist. If your favorite girl complains of being uncomfortable in tights, consider using a pair of scissors to snip a slit on the left and right side of the elastic waistband. Do not cut all the way through the band, rather cut right up to it. The slits will make breathing easier and make your little one more comfortable. Footwear: Consider what type of shoes your daughter will be wearing with her Christmas ensemble prior to purchasing holiday tights. If she is planning to wear sandals or open-toe shoes, then stay away from reinforced toes, which tend to feature a different color toe section. Also, check the toe stitching to make sure it is the same color as the rest of the tights.